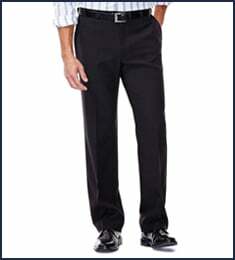 Big & Tall Cool 18® Pro Heather Pant is rated 4.8 out of 5 by 10. Rated 5 out of 5 by WickDaddy from Best pants ever! I own multiple pairs of these cool pro 18 pants, and these charcoal heather ones are my favorite. 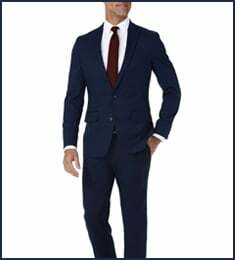 Rated 5 out of 5 by Lora from Comfortable and smart looking My husband has been wearing Haggar pants for many years now but the proformance fabric and the hidden waist expansion options are his favorites. There is a silicone ring around the waist that does an excellent job keeping his shirt tucked in. 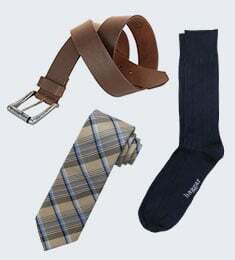 Hagger keeps him looking his best all day and keeps him comfortable. They have the added benefit of looking like new for a very long time. Rated 5 out of 5 by georgeH from Great slacks I used to order from Brooks Brothers. It these pants are on an equal footing in quality and fit. Rated 5 out of 5 by LHub from Great pants at a great price! My husband likes the comfortable waistband and "coolness" of these pants (he's very hot-natured), and I think they look nice with his button-down shirts for work and church services. Rated 5 out of 5 by LHub from Great pants for the price! My husband finds these pants very comfortable, and I think they look nice. I originally looked for these pants because he had an older pair of Haggar pants that looked great, even after years of wear. Rated 5 out of 5 by Greg S from Great Company and products! All purchases come exactly as advertised and an excellent value. Prompt delivery. 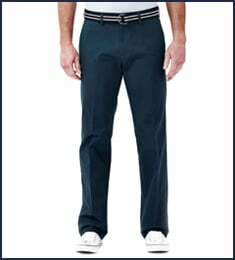 I now purchases all of my pants and shorts from Haggar.com. Rated 5 out of 5 by sarybell from light and breezy These were perfect for hubby to wear to a wedding with a dressy sport coat. The fabric is so light and breezy with a nice drape, they are great, Its like a gym pant with the look of a dress pant he loved the fit and the comfort!! These pants will be a dress favorite for years to come. No more dreading wedding clothes!! Wife was super pleased too. Give these a try they are nice pants! Rated 3 out of 5 by TexasPug from NOT BAD OVERALL Thought they were cuffed slacks and they fit a little differently than the others I bought.